As you might have seen from my last blogmas post, I got the chance to go to the #FillYourBasket Christmas Event at Biza and World Duty Free in Manchester Airport - you can read all about that here. This is a mini haul and gift guide if your planning on taking a trip any time soon. You can find tons of treats at amazing prices and their travel exclusives are my fave! On my hunt I began with perfumes, I got my dad the Clinique Happy for Men because I overheard him saying he loves the smell of this and I agree. I also got this gorgeous Issy Miyake gift set for my Mum, this is her ultimate favourite woody and spiced perfume and it comes with body lotion and shower cream. Lastly, I got the Tom Ford Velvet Orchid as a treat to myself. I discovered the floral eau de parfum and have been lusting over it for ages, it costs £59.65 rather than £75!! My younger brother is only 8 years old and I didn't feel like anything this would interest him. However, I did find the Flik Flak watches that would help him learn the time. He loves things like this so I'm excited to give it to him! 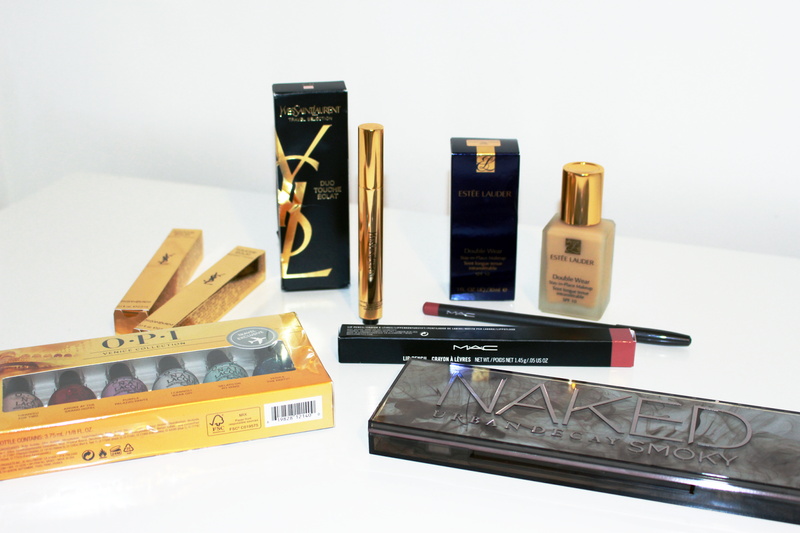 Lastly, I got some makeup products. My mum loves a good coverage foundation so I found the Estee Lauder Double Wear Foundation for her, which is £25 from £30! I also got the Yves St Laurent Touche Eclas Duo No2 which is a travel exclusive, this pen is the best for covering those dark undereyes. And to finish off I treated myself to the Mac Lipliner in Soar. At the end of the evening before we left, I was treated to a goodie bag which included the OPI Venice Travel Exclusive (which I am currently wearing in the shade Tiramisu For Two), a box of Godiva Chocolates and the Naked Smokey Eye Pallete from Urban Decay, I am so in love!! 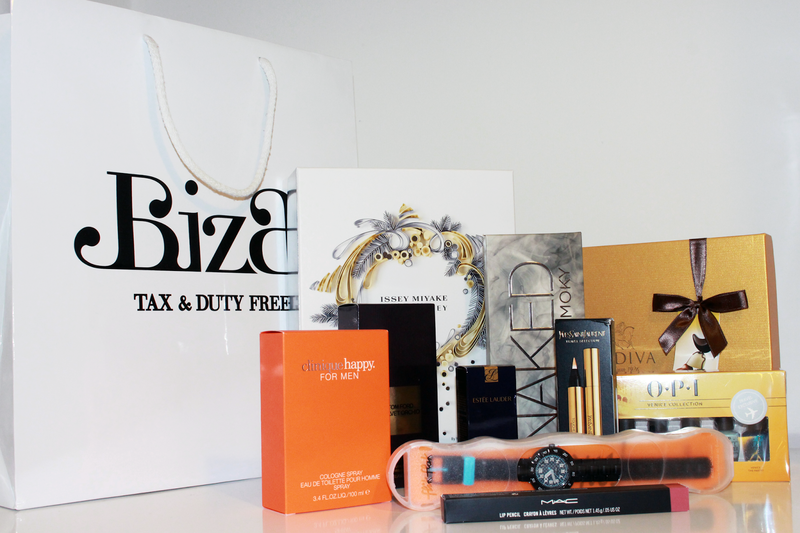 Thank you so much World Duty Free & Biza!!! All of these products can be found at these stores, the range they have there is huge! Hope you liked my mini haul / gift guide!